She is someone who defines timeless elegance. A living legend who was part of the golden years of Indian cinema, Waheeda Rehman glided through cinema’s gilded hall of fame giving us some eternally memorable characters. I wasn’t a day older than 8, and Thursday was the day you sat in front of the television waiting for the weekly “Chayageet” to roll out old, with the not-so-old Hindi songs. The black and white screen came alive with a young actress, shyly looking into the camera and singing ‘Jaane kya tune kahi’ from Pyaasa. The actress was Waheeda Rehman and the singer Geeta Dutt, both became my eternal favourites! Waheeda Rehman, to me, became synonymous as someone who had a playlist with the most beautiful songs. Be it the unforgettable ‘Waqt ne kiya‘ from Kagaz Ke Phool, or the naughty ‘Kahin pe Nigahein, Kahin pe Nishaana’ from CID, or the classic rain song of all times ‘Rimjhim ke Taraane’ from Kala Bazaar, or the cheeky ‘Bhawaran bada nadaan hai’ from Sahib Biwi aur Ghulam and finally ‘Kaaton se Kheech key yeh anchal’ as the newly liberated ‘Rosie’ of Guide sang with graceful abandon. The one song which celebrated her charm and mystique was the romantic ballad ‘Chaudhvin ka Chand‘. 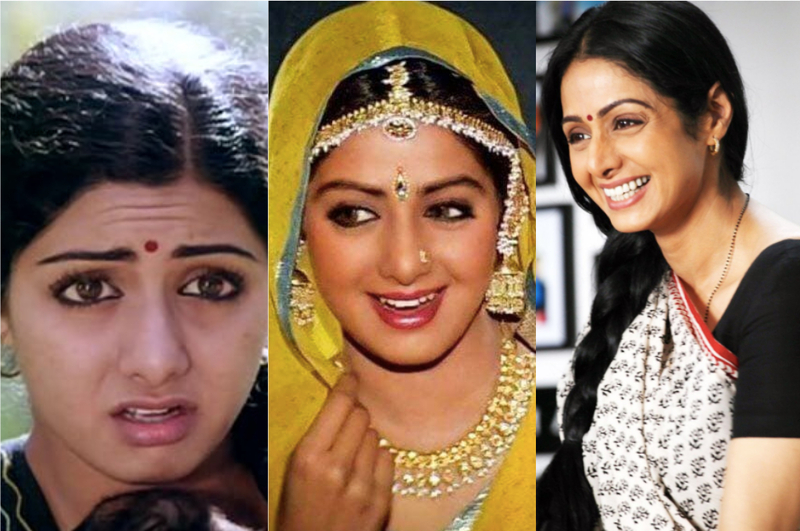 She began her career in Telugu films, spoke chaste Urdu, was an accomplished Bharatnatyam dancer and would rule the Hindi screens, choosing characters who are now best described as way ahead of their times. Playing a vamp in her first Hindi film outing CID, directed by Guru Dutt, the teenager was soon cast to play ‘Gulabo’, the streetwalker in Pyaasa. Waheeda Rehman recalls, she didn’t even know what a streetwalker was! 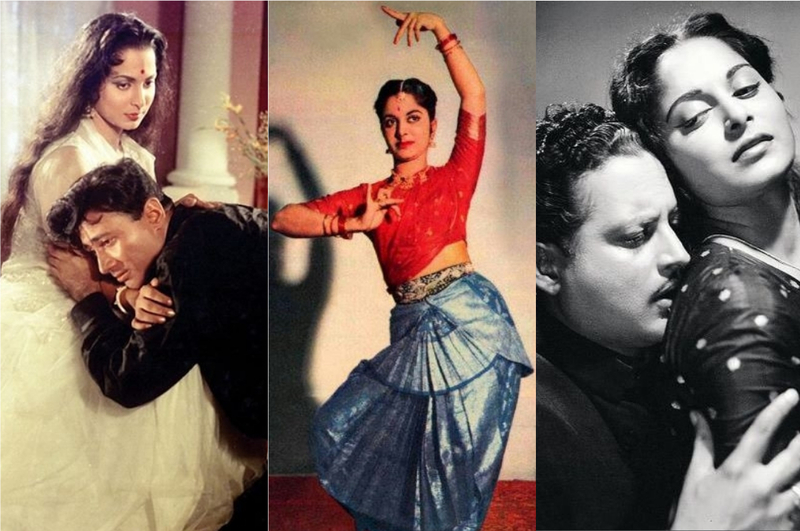 Playing a prostitute so early in her career could have had it’s repercussions, but Pyaasa’s ‘Gulabo’ left her mark.The child like unconditional adoration with which she supports the emotionally bereft poet ‘Vijay’ played by Guru Dutt who is oblivious of her affections, ‘Gulabo’ struck a chord. Kaagaz Ke Phool which is now regarded as one of the greatest films of all time, a cinematic classic which remains a reference point for generations of filmmakers – was a box office failure. Many regard it as a semi-autobiographical film by Guru Dutt, whose real life was imitating on reel. Waheeda Rehman, who later starred in Sahib Bibi aur Ghulam and Chaudhvin ka Chand opposite Guru Dutt; when asked whether she preferred him as an actor or director, was candid enough in her reply. But the actress acknowledges that she had the best working rapport with Dev Anand, her co-star in seven films. Though they were not cast opposite each other in CID – he was the leading man in the movie- the two were cast together in Solva Saal, Kala Bazaar, Baat Ek Raat Ki, and of course, the unforgettable – Guide. Playing ‘Rosie’, the dancer who is married, and leaves her husband and lives-in with Raju, the Guide – a man who liberates her from the shackles of the emotional chains that bind her in a loveless marriage. Does she marry Raju? No! She is happy in her newfound independence, her dedication to her craft – dance, and exploring her sense of being. Was ‘Rosie’ the quintessential “Bharitya Nari“? No, in fact she was way ahead of her times when RK Narayan penned the character in 1958. But today, ‘Rosie’ is celebrated for her strength and sense of self-worth. Waheeda Rehman regards ‘Rosie‘ as her favourite on-screen character. “You know, many people told me – don’t play Rosie. She is a negative character, she is a vamp, how I should not play her on screen. I silenced them all by saying Rosie is real”. This makes me think back to Piya tose Naina laage re, where Waheeda Rehman is poetry in motion! Successive hits opposite Dilip Kumar in films like Dil Liya Dard Diya, Ram Aur Shyam, and Aadmi, she did Teesri Kasam with Raj Kapoor. One of her biggest hits, Khamoshi in 1970, opposite Rajesh Khanna was about the nurse in a mental hospital who ends up desolate after nurturing and getting attached to one of her patients. “I knew my shortcomings but was always game for a challenge,” is how Waheeda Rehman describes her cinematic journey – an actor whose films and characters continue to entertain and inspire!